On an ordinary night in Paris, Pierre takes one last look at his lover Paul's sleeping body, then slips into the early morning light. Where he's headed, neither of them know. 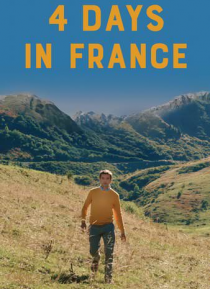 Pierre's only guide is his Grindr app, which leads him on a series of encounters with an indelible cast of characters across the French countryside. Paul sets out after him, in a strange and wonderful game of Grindr cat-and-m… ouse.